If you are looking for a professional embedded systems programming this is where ANGLER can help you out. We offer embedded system software development and embedded software testing services. ANGLER as a quality Offshore Development Center (ODC) offers a gamut of System Software Development and Embedded Programming using Qt, C++, Visual C++, Embedded C skills. With quality system programmers & System Software Developers, we are well positioned as an offshore development partner company to Software Companies in UK, USA, Europe, Dubai, Singapore, Canada & Hong Kong. 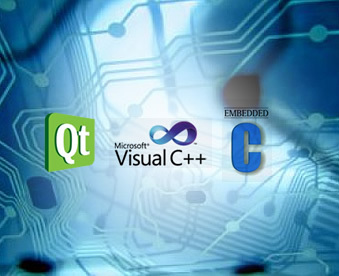 We use Qt, VC++ / MFC, and Embedded C libraries in conjunction with Windows API for rapid, yet advanced, Windows application development. In addition to application development our engineers have extensive experience in configuring and porting embedded OSes (Windows CE, Embedded Linux) for a variety of platforms. To complete such tasks it is often necessary to expand the standard design packages with the additional drivers that we develop. Also our professionals have a good understanding of the low-level hardware processes and experience in creating firmware for a considerable number of different controllers and DSP using C and assembler languages. The use of modern project management, planning and automation tools, and unit testing along with the study and adaptation of the rules, approaches and techniques in software development field is key to releasing complete, high-quality and effective products. Contact us today to know more about our systems software development services or to hire our system software programmers for your needs.